Undertake 15 different covert missions set in Vietnam in 1967. There are no guarantees for victory in Black Ops Mobile...only guarantees for ACTION! Undertake 15 different covert missions set in Vietnam in 1967. 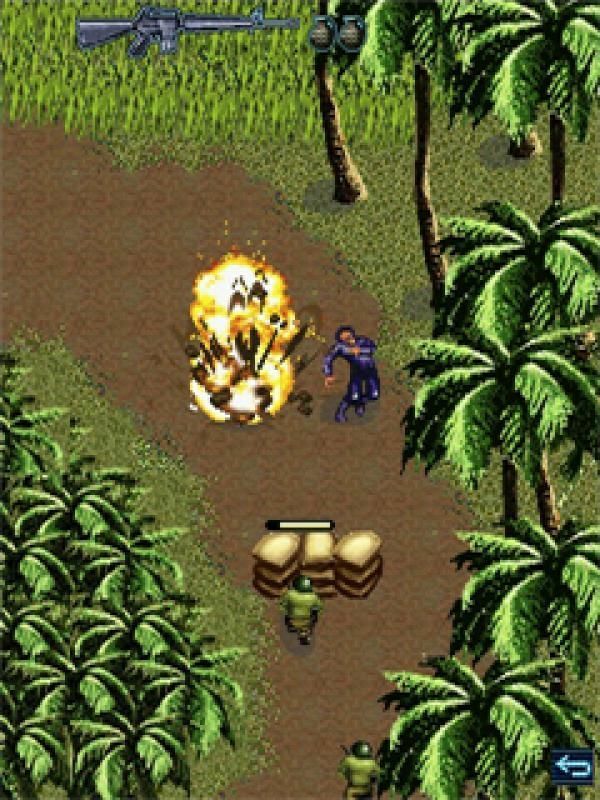 Eliminate all hostiles from your perimeter, steal patrol boats and plant explosives to blow up an enemy training camp. How you complete each mission will vary - apart from assault & recon missions, there are also Sniper, Vehicle, Sabotage and Defense missions to test your military mettle. There are no guarantees for victory in Black Ops Mobile... only guarantees for ACTION! Complete 15 covert missions utilizing one of 3 soldiers at-hand. New environments in which you may crawl through tunnels, wade through murky rivers and hack through jungles. With enhanced AI, enemies thwart your missions and allied soldiers follow your character. Accept a diverse variety of missions such as assault/recon, sabotage, defense and more.c) 2010 Activision Publishing, Inc. Activision, Call of Duty and Black Ops are registered trademarks of Activision Publishing, Inc. All rights reserved. Game engine and related source code (c) 2009, 2010 Glu Mobile Inc. Glu and the ''Gman'' logo are trademarks or registered trademarks of Glu Mobile Inc. in the U.S. and/or other countries. All other trademarks and trade names are the properties of their respective owners.